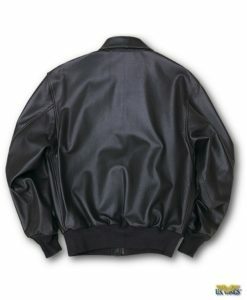 The Women's Wasp A-2 Bomber Jacket at US Wings! This is an authentic reproduction of the WWII WASP (Women’s Airforce Service Pilots) A-2, made from the finest goatskin leather and cut & sized specifically for women; the perfect A-2 for any female pilot or aviatrix-at-heart! The Women’s WASP A-2 Bomber Jacket is fitted specifically for women! An authentic reproduction of the WWII A-2 made for the Women’s Air force Service Pilots, WASP. When worn by women, the standard Men’s A-2 can be ill-fitting. Our WASP A-2 has the modifications most wanted by women. It’s roomier where it needs to be and features shorter sleeve and body length. The perfect jacket for any female pilot or aviatrix-at-heart! Import. 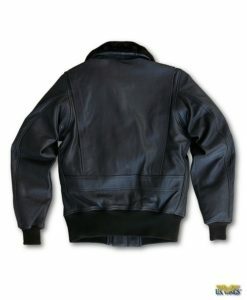 In 1931, the Type A-2 jacket was standardized by the US Army Air Corps to succeed the Type A-1. The A-2 has sturdy snaps, reinforced pockets, snap down collar. Replaced the A-1’s buttoned front with a zipper for added protection against the elements in the open cockpit. The creation of the modern A-2 was after a brief period of the Air Force not issuing jackets to pilots. Influenced by the popular film, “Top Gun”. The modern design differs from the original design in several ways. With a looser fit, made from goatskin in seal brown, side entry pockets, and an inside wallet pockets.